Film agencies as brokers between filmmakers and the film festivals. What does this achieve? A film business area that is still fresh. Attaining success in just 42 seconds. 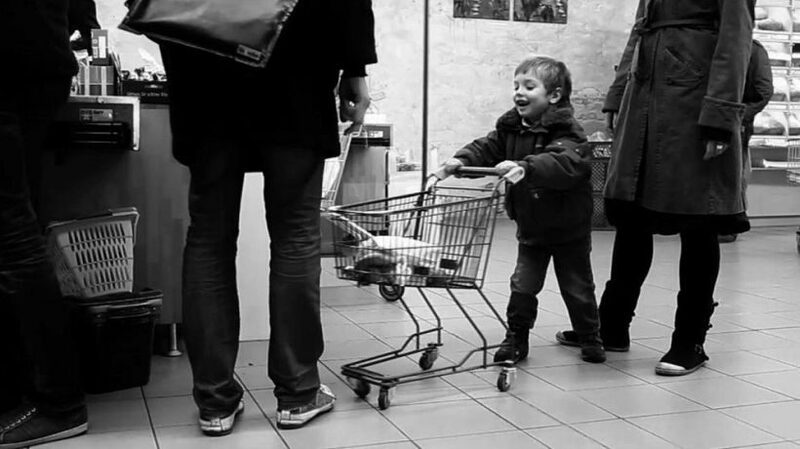 The film FELIX, in which a young boy at the supermarket shoves his trolley into the heels of the person in front of him, was screened at far more than 100 festivals. However, its producer Paul Ohmert never personally sent the film to any of the festivals. And just like Ohmert, Matthias Becker also had no time for the festival circuit marketing. “Submitting a film [to festivals] means a lot of work.” Last year, he and Lena Geller completed their first feature-length work, after spending years working on the 97-minute road movie that was shot in ten countries. They both knew each other from the Kunsthochschule Kassel art school, having produced several short film projects together. Their first long film was supposed to catapult them onto the German film scene. But how? If a film is aiming for success, a premiere at a top-name festival is crucial. But which festival should be considered? By now, about 4,500 film festivals worldwide award prizes in various categories, such as animation, fiction, documentary or music video. With each festival having their own regulations, submission deadlines and programmes. Meaning that a lot of time has to be invested in researching which film could fit well in which festival. And for short films especially, festival screenings have become enormously important, as screenings to general audiences in the normal cinemas, and commercial success in turn, often fail to materialise. Because Becker and Geller already had more than enough to do with their work as filmmakers and their newly founded film production company, they sought some support. Friends recommended Aug&Ohr to them, a Berlin-based agency. Paul Ohmert already knew the agency owner Markus Kaatsch personally. Kaatsch, who established the agency in 2006 at the tender age of 19 and started it off as a one-person operation, has a large team behind him today. A staff of 23 are employed viewing the films and sending them out across the planet. Together with his team, he has managed and marketed 900 films to date. Agency work such as this, as a staging-point for a film in its exploitation chain, is a relatively recent phenomenon in Germany. Aug&Ohr count among the few players that have specialised exclusively in festival submissions. Of course there are some long established institutions, such as German Films and the German Short Film Association (AG Kurzfilm), which focus on film marketing and distribution, and that abroad especially. Likewise the KurzFilmAgentur Hamburg (KFA) short film agency, the interfilm Berlin festival or the Agence du court métrage in France, for instance, undertake short film sales and distribution activities. However, none of these bodies offer a festival service. Elsewhere, submission agencies have a longer tradition. One of the pioneers in the promotion and distribution of films is the Spanish agency Promofest: Founded in 1992, the films it submitted to festivals have won more than 5,000 prizes to date. Over its 25 years in existence, it has built up an enormous database with information on international festivals. The Portuguese short film agency Curtas was created in 1999. Its modus operandi consist of unifying the rental, distribution, sale and submissions of short films. At the same time it is affiliated with a festival. Likewise, the Spanish Marvin & Wayne agency has been in operation since 1999, acting as a distributor and a festival agency. State-supported film institutions can be found in many countries – such as the Eye Film Institute in The Netherlands, the Norwegian Film Institute or the Swedish Film Institute. These are mainly tasked with the preservation and promotion of their film cultures. And like most of the other agencies, they also fulfil a wide array of functions and at most only submit films when requested to do so. By contrast, the private-sector service provider Aug&Ohr has specialised exclusively in its festival service. Or as Markus Kaatsch puts it, “Each film is well prepared by us.” After viewing a film, the 29 year old conducts a detailed discussion with the filmmaker about a potential festival strategy. And once they agree to work together, Aug&Ohr submits the film directly to the festivals. Markus Kaatsch gained his expertise through working in film productions. In addition to which he has also made short films and studied film production in Berlin. His application film MEIN SASCHA was screened at 80 film festivals worldwide. Over the years, his contacts with festivals have multiplied, as indeed has his workload for the agency. Aug&Ohr is currently managing and promoting 180 films, including many short films, regardless of their genres. Kaatsch and his teams often send complete film packages to festivals. And some of the festivals even give him discounts when he submits several films at the same time. This represents an advantage for the filmmakers, according to Kaatsch, because normally fees are charged for each single submission. As Lina Dinkla, the programme coordinator at the DOK International Leipzig Festival for Documentary and Animated Film, explains, such discounts are always granted on an individual basis, depending on the number of films. Together with the growing numbers of submissions – last year 500 more films were submitted to Leipzig than in 2014 – she has also noticed the increased entries via agencies. But ultimately, it is irrelevant who submits the films. “The quality of a film is the overriding criterion for whether it is selected for the festival programme, and not who submits it,” Lina Dinkla says. Rebekah Louisa Smith is driven by similar motives. She has run The Film Festival Doctor agency in London and Los Angeles since 2008. She charges £275 for a festival and promotion strategy, as well as £1,500 for a complete film management package. In a world in which increasing numbers of films are being produced, it is essential for each filmmaker to increase their own visibility. And whoever wants to have their film flickering across the silver screen has to weigh up whether they are prepared to battle their way through the various regulations from the festivals or get an agency to do so – at a cost. “We’re satisfied with what we get for our money,” Matthias Becker says. He and Lena Geller pay a monthly flat-rate fee to Aug&Ohr. And by now, their film YOU ARE EVERYTHING has been screened at 16 festivals, including the Hof International Film Festival. Which represents a success for Becker. Although he does not know as such whether this has anything directly to do with the festival submission work by the agency. Likewise, Paul Ohmert was very satisfied with the promotion and marketing of his short film FELIX, “even if it didn’t result in a career jump afterwards.” The upshot of which is that a filmmaker’s success depends on a range of factors, with the number of festivals at which their film is screened being just one of them.